Sony’s PS4 declaration “This is for the players” is rather clever in its message and delivery. From my perspective, it’s also delivers a sickening truth. My name is Kevin, and I am a 3AM Father. We’ve all had that moment where we take a look at the clock and somehow 6 hours have passed, but you think “meh”, go to bed and get at least 4-5 solid hours. Oh how that changes when you become a father. It’s Friday night, and after working all week with only minimal game time, it’s time to seize the moment. My daughter Lana is a little fighter at nearly 2 years old, and often doesn’t fall asleep until 10pm. She is also at that age where she is absorbing everything, so I ensure that anything on our TV screen is suitable for her eyes and ears. Should a game of FIFA commence onscreen, I often get a cheer and a clap if I score, or even a high five. I would never subject her to a session of, for example, Borderlands 2. But once she is finally asleep, and everything is tidy, it is only then when the real gaming begins. At nearly 11pm, it can be the mother of all second winds. Cue getting stuck into hours of adult gaming; recent titles include WWE2K14, The Walking Dead, and Spartacus Legends. Quite often these have taken me beyond 3AM. There is of course an obvious potential drawback, being that my daughter could wake up at any time. Nevertheless, staying up until all hours is much more difficult, knowing you have to be up early the next morning. So much so that I often inadvertently fall asleep with my daughter. My name is Kevin, and I am an often-frequent 3AM father. I’m not the sole parent in our home, however it is often the case that my wife can be at work at this time, or is out with friends. She works too, after all. My wife is not a gamer, but encourages and respects the work I do and the hobbies I have. 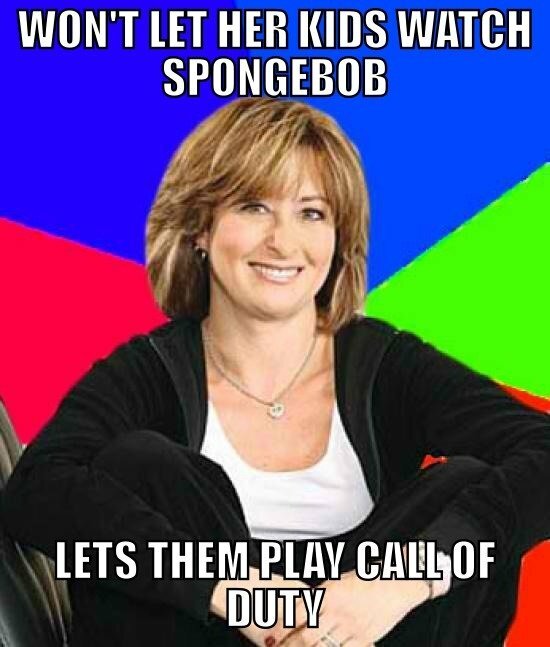 When I came into her life I drove her mad with my gaming addictions, but this was often inconsiderate on my part. That, coupled with the arrival of our daughter, has taught me to appreciate what time I do get that much more. But there is another side to this story. I’m also a stepfather; to a young man I have known since he was 8 years old. He is now 13, but there is a considerable challenge regarding exposure to appropriate games for his age. I don’t allow him to play CoD/Battlefield, or purely adult-themed games such as GTA. I base the suitability of a title on its content, not necessarily the rating stuck on the box. Back when he was 8/9, even WWE games and television was having a negative effect on his behavior, so these were banned for a time. Now he’s 13, I’m disappointed that all his school friends are playing GTA V, CoD, and mostly 18-rated titles. He does often ask for a CoD title of his own, but this is just so he doesn’t feel left out. I’d be lying if I said had the same issue when I was 13, owning titles such as Street Fighter II for the SNES, but is worth noting that me and my brother were both banned from Street Fighter II for a short while, as fights often broke out between us over the legendary Capcom title. That was up to my parents at the time, same as I believe it is for me as a parent now. So in retrospect, I’m currently living a double life as a 3AM father. I care about what I expose my kids to, plus I always want them to be honest about what they want to see and do. And as that means me having to stay up till 3AM at times, or even beyond, then so be it. My name is Kevin, and I am a proud 3AM Father. Previous Post My 2013 Game of the Year – Royal Rumble style!